Teamwork exercises are an integral part of the cabin crew recruitment and ongoing training processes. They can tell you whether cabin crew applicants have the requisite skills for the role, as well as helping to train and motivate existing cabin crew staff to work together more effectively. Read on to find out what traits to look out for and which exercises can help optimise your cabin crew’s teamworking abilities. What teamwork skills should I look out for? Punctuality: Are they on time and ready to get started? First impression: Do they make a positive and memorable first impression? Professional appearance: Do their clothes and presentation reflect cabin crew standards? Body language: Do they conduct themselves in an open and approachable manner? Score your attendees on how well they demonstrate each of these traits, then record and analyse this data to identify preferred candidates or areas where additional training might be beneficial. Group tasks enable you to observe attendees’ teamwork skills in full swing. Focus on how they communicate with one another, develop ideas and work towards a unifying goal. Get attendees to work towards a shared creative objective using basic materials. Construct two halves of a bridge using basic materials (paper, sticky tape, straws etc.) within a defined time frame and see whether they can be connected to carry a load. Divide your group into two and get each half to work on a separate side of the bridge. Create a barrier in the middle of the room so they can’t see what the other half is doing. They must work within their own team, and communicate effectively with the unseen team to come up with a design that can be connected. They clearly communicate their design ideas to each other, and the second team. The design can be connected and is structurally sound enough to carry a load. Get attendees to work together and think their way out of a challenging scenario. Create a ‘human knot’ by asking your attendees to stand shoulder-to-shoulder in a circle, then reach out and grab a random hand from the centre. Participants then have five minutes to untie the knot without letting go of their partner. Participants analyse the situation and come up with a plan. Through trial, error and constant communication, they’re able to free themselves. 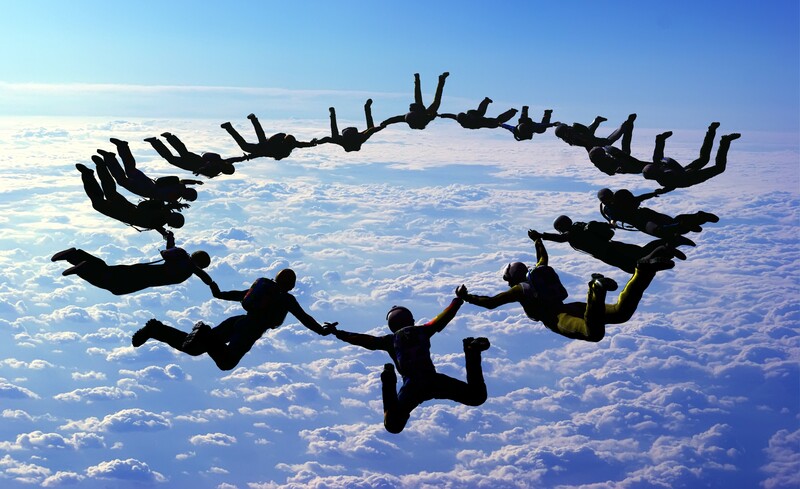 Teamwork exercises can tell you so much about the competency of new or existing cabin crew, helping you to compose teams that can keep things running like clockwork in the air. Find out how AeroProfessional can give you the tools and expertise you need to secure the highest calibre applicants.